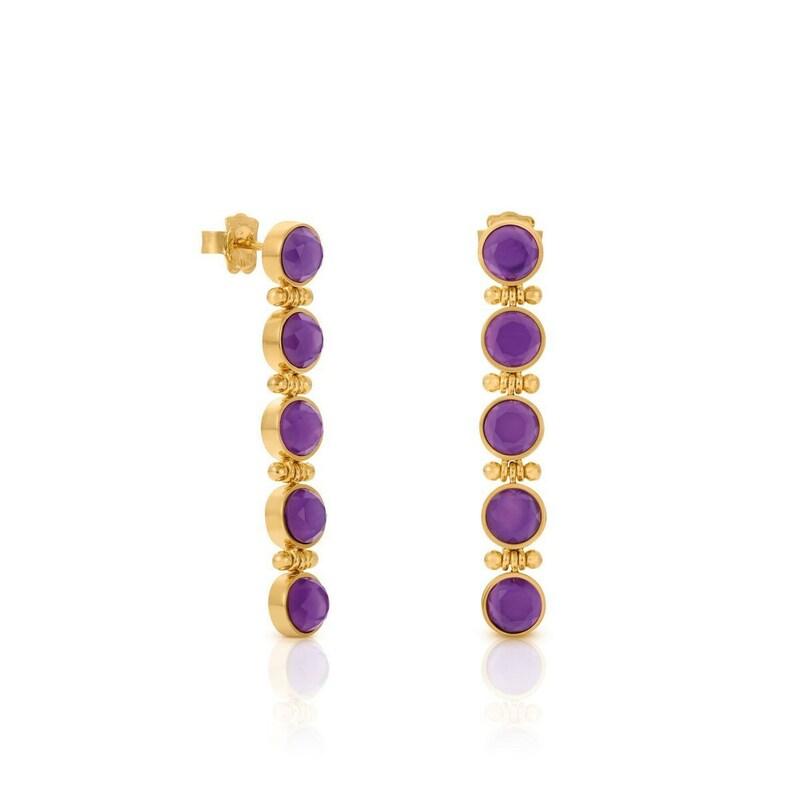 TOUS Bright earrings in vermeil silver, hydrothermal amethyst and mother of pearl. Pressure clasp. Vermeil: Sterling silver plated with a layer of 18kt gold. Sizes: 6mm.